A small bedroom can truly be a headache to organize. Having everything in one small space can get messy very quickly too! 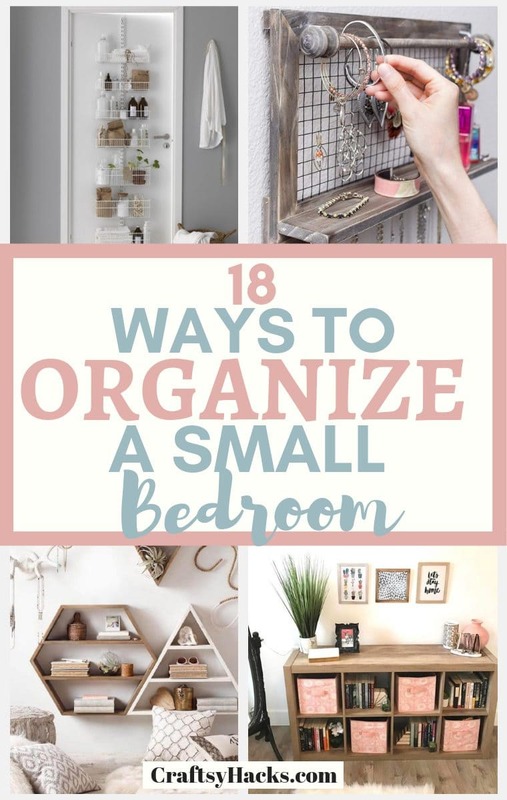 Today, I’d love to share a few ways you can organize a small bedroom. 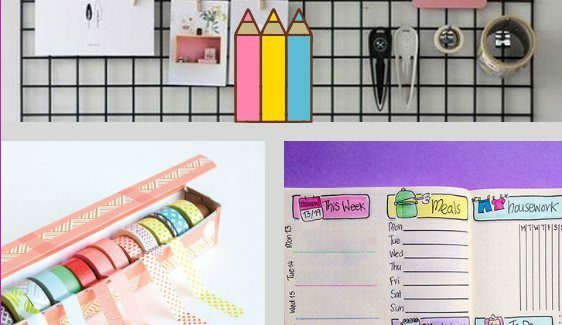 These organizers will make your life easier and, hopefully give you some inspiration. 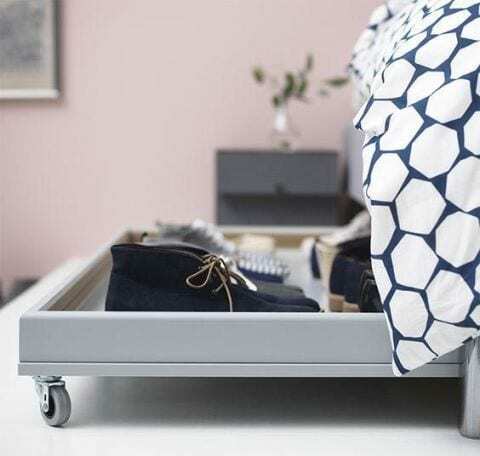 Beds in our bedroom take up a large space, so save it up by getting under bed drawers. Here is a nice wooden under bed shoe drawer with wheels you could use. 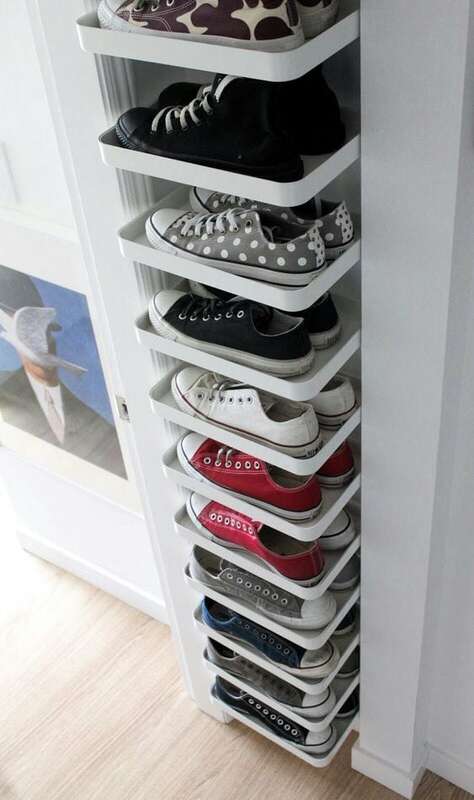 You can use a drawer like that to store not only shoes. It’s a good place to keep all your sheets, towels, blankets and other essential that perhaps you don’t use on daily basis. We often forget to use the vertical space above the bed. And that’s a huge mistake! Have a collection of books? 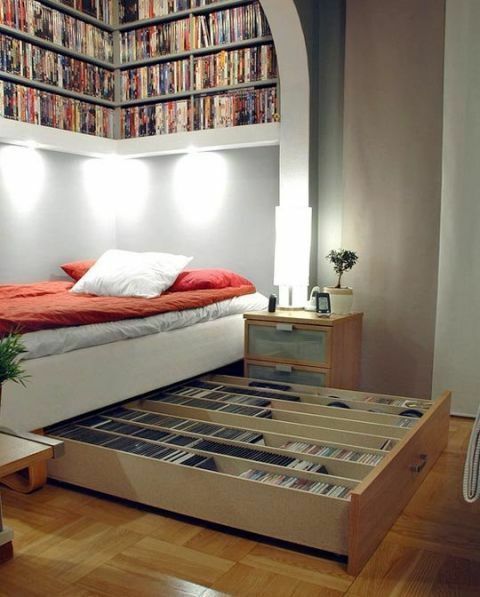 Install multiple bookshelves just above your bed and keep all your books there. 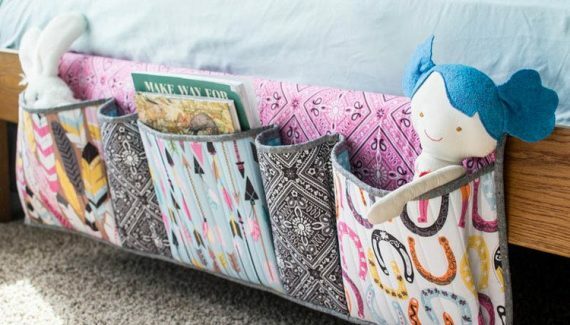 If you have so many books that don’t quite fit just above the bed, take an extra step and make your own under bed book organizer. That’s obviously if that space is free! Absolutely loved the idea once I saw it online. 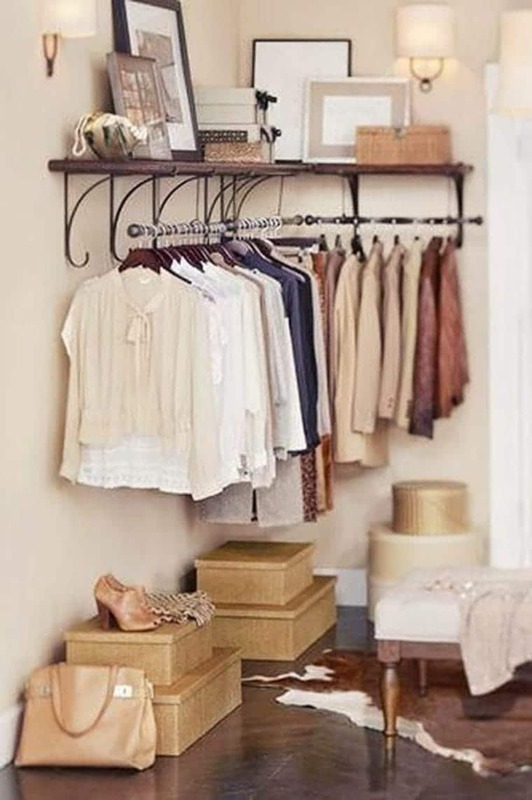 If you have a small room, feel free to use wall shelving as the wardrobe. You can hang all the sweater, dresses and jackets just above the doors. Then, obviously use ladders to reach them. Not a good idea for someone who’s afraid of heights. However, if you don’t mind getting up there to get your clothes, feel free to try this at home. 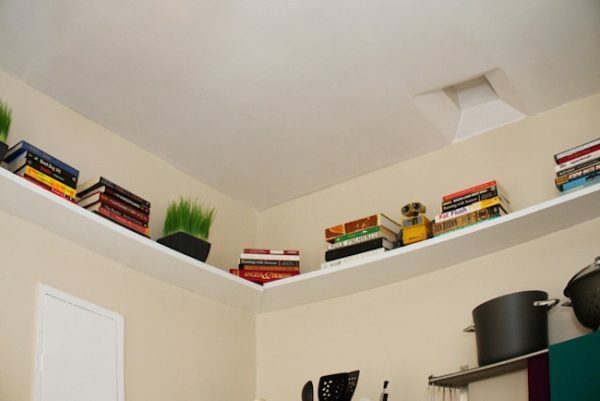 Perhaps instead of using floating shelves for books, install them in the corner, stack them up and store your shoes there? It offers a super practical way to keep your shoes organized and will keep your room looking tidy and neat. And that’s exactly what we want. A small bedroom can get even more cramped if you also have a small wardrobe. The key to getting your clothes organized are baskets. The truth is, you can beautifully fold shirts and keep them in the baskets. Also, all the underwear, socks, belts, scarfs and other accessories are perfect candidates for basket storage. Check this video out to see how to exactly fold clothes to neatly store them in the baskets. 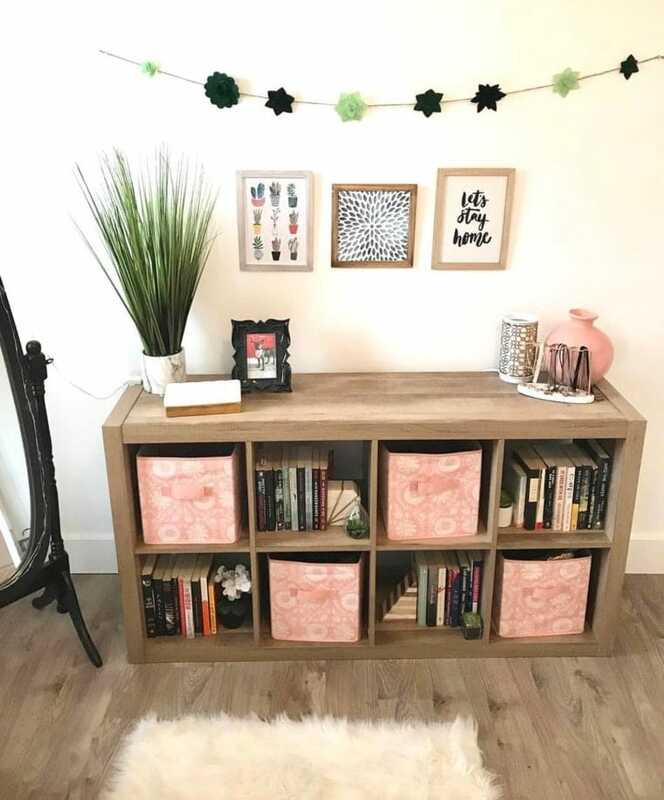 I absolutely love these wire storage baskets – they look elegant and cute. However, if you’re looking for something simpler and lighter, foldable storage cubes like these ones are probably your best bet. Or you could always make your own fabric box, check my post on DIY sewing projects to get more ideas. We often forget to use vertical space in our room. The truth is you can easily get everything neatly organized with wall hooks. Get a few sturdy wall hooks, attach them to the walls and hang your bags, instruments or even accessories on them. It’s truly a great way to get things organized. There are a ton of wall hooks that come in different shapes and sizes on Amazon. Learn more about all the different ways you can use command hooks to organize home. This is an absolutely cute idea for those who have a lot of accessories. Organize them by using the vertical space of the wall. 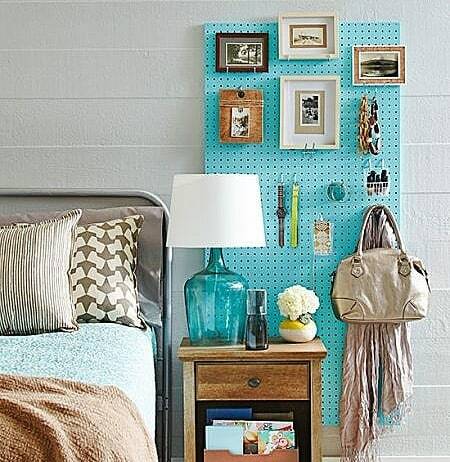 A pegboard is great as a design piece, but it also has a crucial organization function. So, definitely incorporate it into your bedroom design. If you’re a fan of animal head wall décor pieces and had them in your bedroom, use them for organizing jewelry. The through is you can truly use design pieces for organization too. Couple it with shelves of different forms and you’ll have a beautiful looking room. 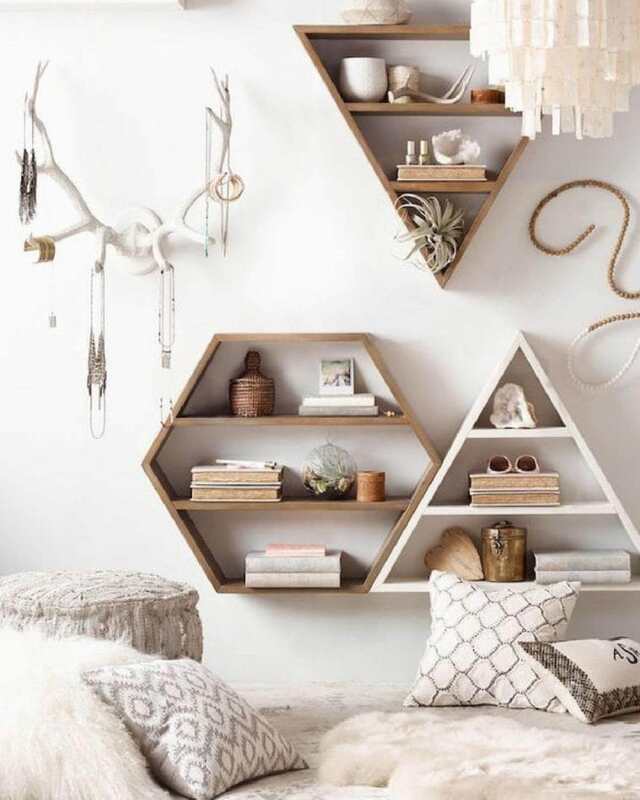 You can either go for triangle shaped shelves or hexagon-shaped shelving or good old square ones. If you have a few shelving units at home and you’re not using the space under them, install a rod. You can hang all your clothes under the shelf. In this way, you’re going to be using more of the vertical space. And still not lose any space for books, baskets or other goodies. If you’re running out of space, you can easily make more of it by adding storage box to each shelve. You’ll be able to use more of vertical space and store the small items. Great for accessories, clothing items, school supplies, etc. Get fabric cubes with compartments and introduce even more organization into your small bedroom. Easy, simple and works wonders when it comes to increasing room storage. A little accessory organizer on your wall can turn into an elegant design piece. 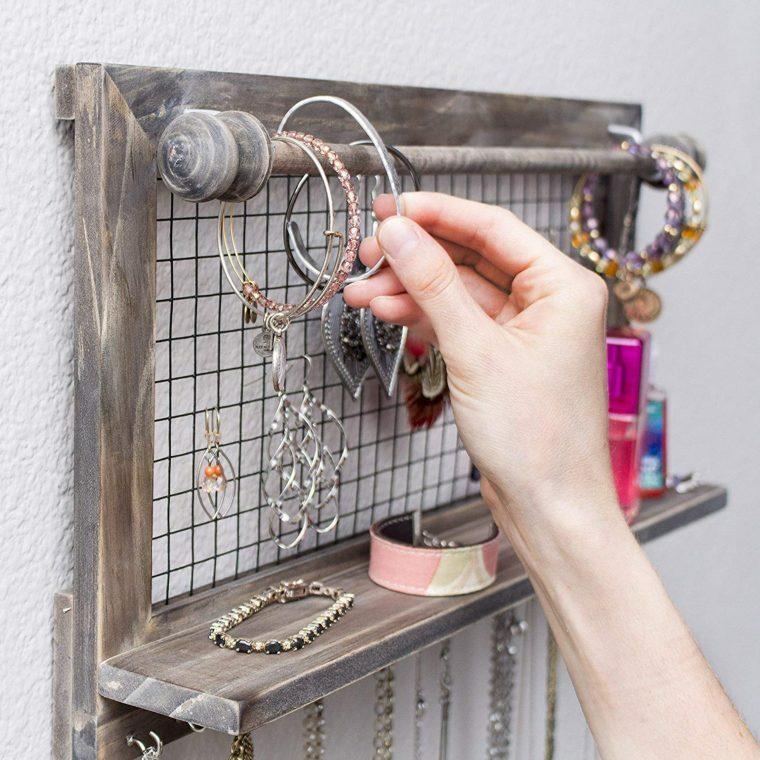 This rustic jewelry organizer is just that. It looks amazing, it’s super practical and picking your accessories before going out will be so easy. 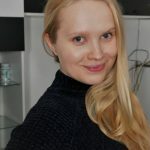 Absolutely love the idea, so give it a try! In case you don’t have a wardrobe yet you’re tight on space, get a clothing rack. Get a rack with shelving like this one. In this way, you’ll be able to store more items on it, not just clothes. You could easily get a few storage boxes and throw in all your accessories. If you’re creative, you can really use the rack and maximize the storage space. All of that while keeping it neat and organized. 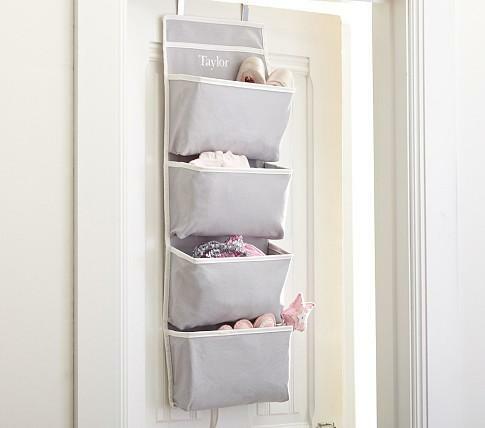 Something as simple as a fabric door organizer like this one here can help you to increase storage in your small bedroom. It’s absolutely great for lighter books, notepads and makeup products. What’s more important, it’s cheap and functional. 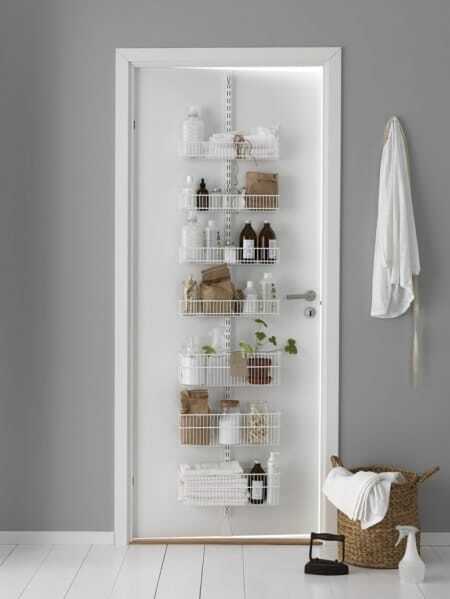 Get a cute, white door utility rack like this one here. 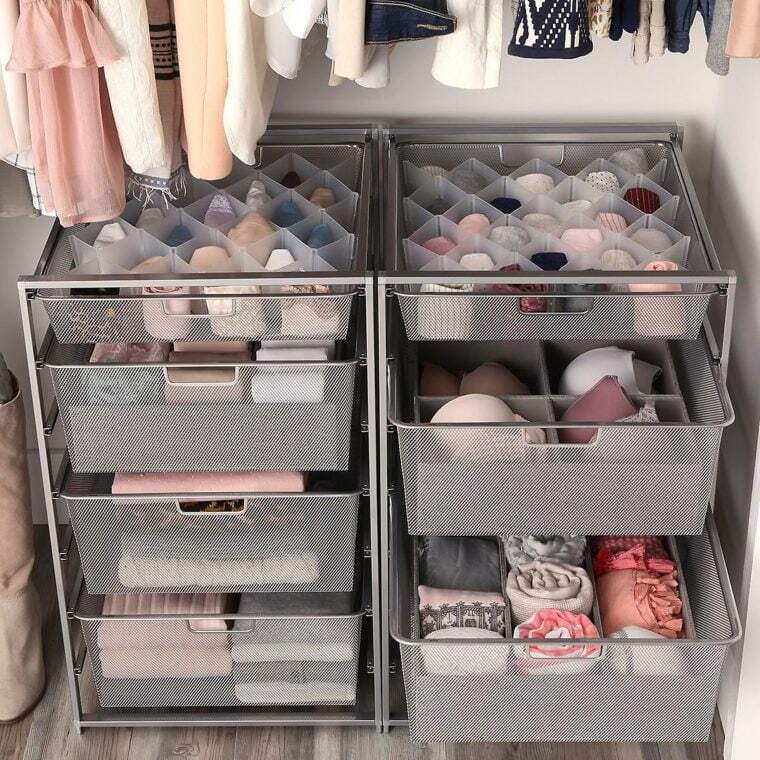 It’ll offer you some extra space to organize your accessories, makeup and self-care products, and whatever else you need. We often forget to use our doors for storing the very essentials we need. So, if you’re running out of space, definitely get one. If you’re one of those people who have a ton of shoes and no space to keep them, try this idea. Get a bunch of double towel bars like these ones here. Make sure they’re double, otherwise you won’t be able to place shoes on them. Now, just stack them up and store all your shoes. Let’s be honest, it looks pretty cool and gives you a chance to consider all your shoes before going out. 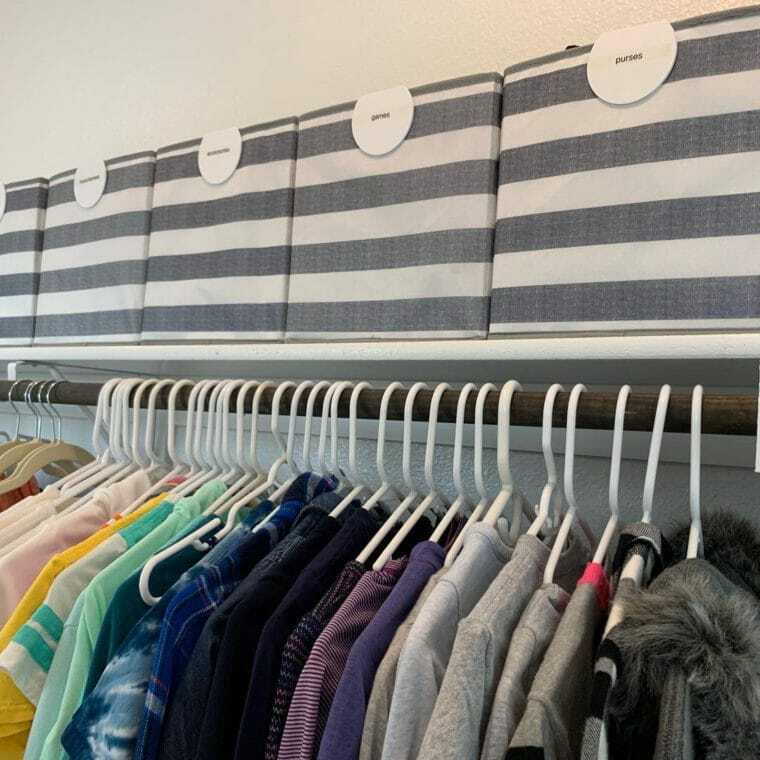 These closet drawers are budget-friendly and can give you the ability to organize all your underwear, socks, shirts and accessories. The organizer offers a very easy way to do all that. It doesn’t take a lot of space and isn’t very high, so you can easily fit it under hanging clothes or shelves. They look great too, especially when keeping them organized is so easy. The compartments here are the key! If you feel overwhelmed with the number of things you have. And installing shelves on the walls doesn’t seem like a great idea. Try installing them just below the ceiling. In order to reach your things, you’ll need to get all the way up there. However, you’re going to save yourself from bumping into shelves all the time and feeling overwhelmed with the amount of stuff on the walls. 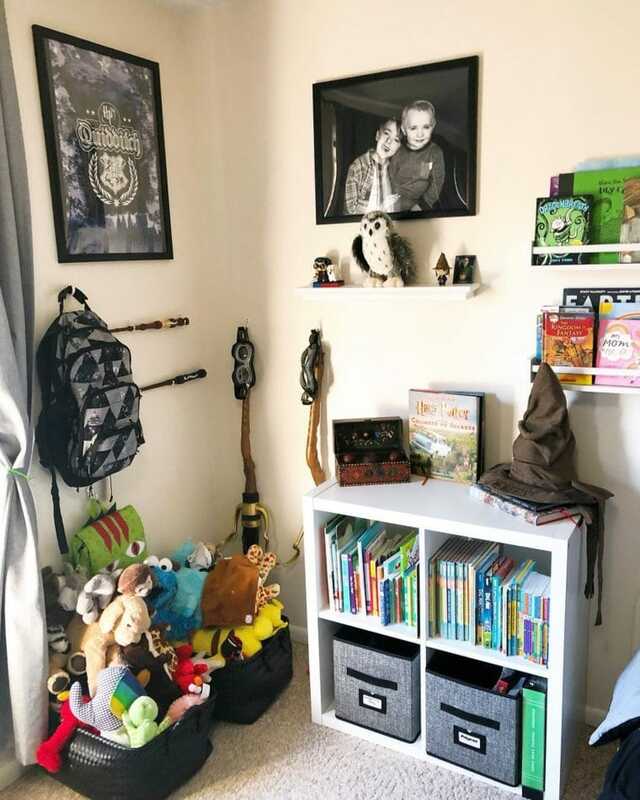 I absolutely love how you can combine all the storage hacks to fit as many things as possible into the corners of the room. All of that while still looking organized and neat. 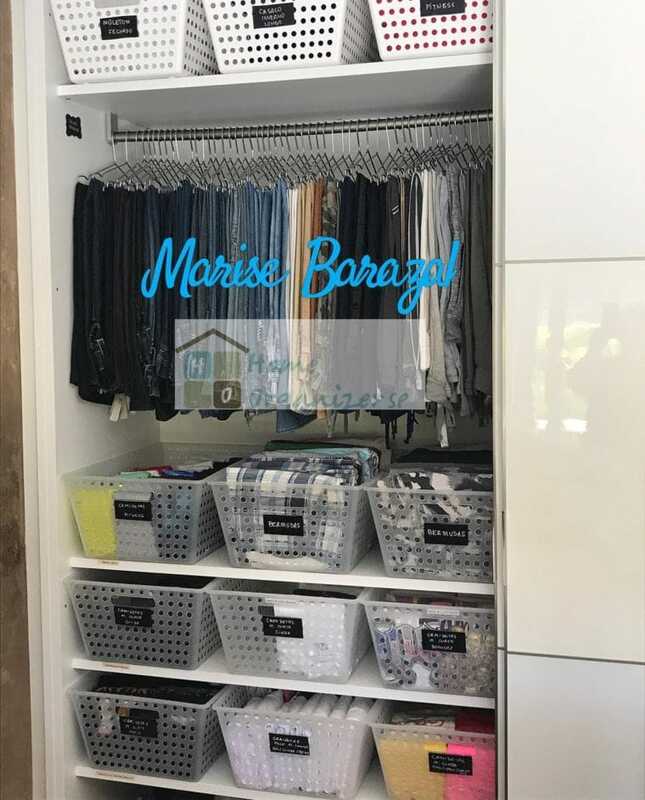 This is a perfect example of how you can do it all: use the corner, get the corner shelving, get a rack for hanging clothes as well as storage boxes. Elegant and yet so practical! Hope you’ve loved some of these small bedroom organization ideas. Do you have any of your own? Share them in the comment section below if you do!